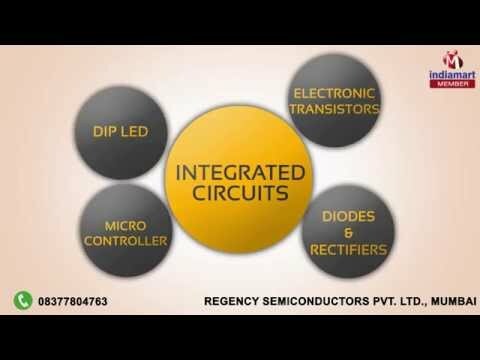 Welcome to Regency Semiconductors Private Limited, established in the year 1998, we are he eminent suppliers, wholesalers, distributors, traders and importers of a wide range of Electronic Products. The product range consists of Electronic Components, Integrated Circuits and Electronic Transistors. Sourced from trusted and reliable vendors of the industry, the offered electronic & electrical components are known among our customers for their rich features such as compact design, hassle-free installation, high performance, durable construction and low maintenance. We import our products from all over the world. With the aid of our rich vendors base, we have been able to take and complete the bulk assignments in the most efficient manner. Moreover, we assure delivery of the offered range of electronic & electrical components within the assured time frame at the customers end.